I spent four months island hopping across the Hawaiian islands, at times “striking gold” while striking out in others. 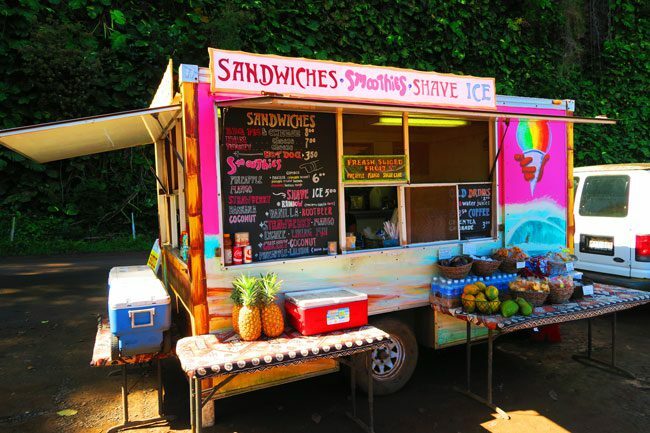 I hiked, snorkeled, drove around, annoyed locals with endless questions, and God knows what else, in order to bring you these essential Hawaii travel tips. 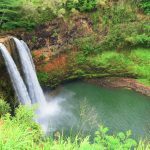 In this post, I’ll share with you all the things I wish I knew before visiting Hawaii so that your holiday in paradise can be as close as possible to perfect! 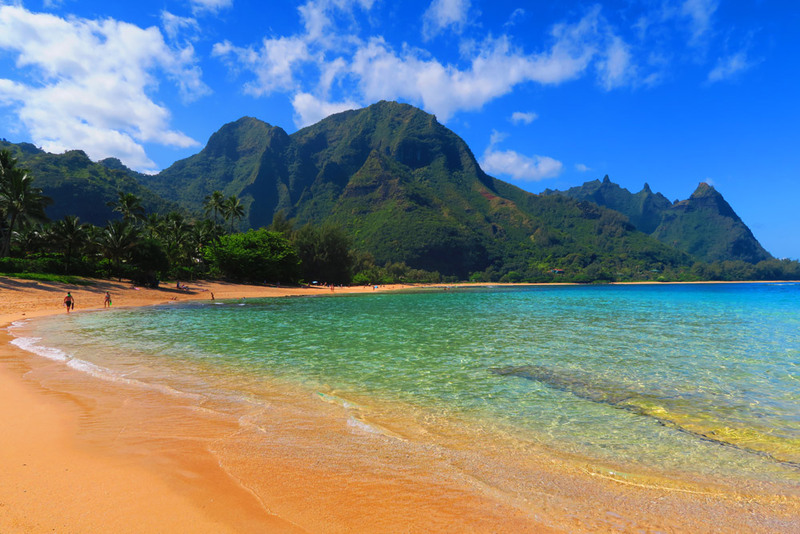 Which Islands to Visit in Hawaii? 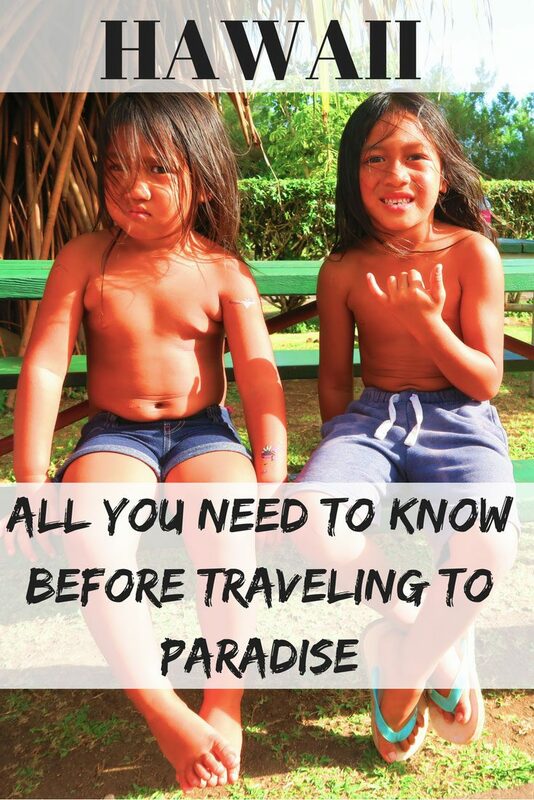 This is really the “million dollar question” when planning a first-time trip to Hawaii. There are six “main” islands in Hawaii that you can basically visit. It’s important to note that every island is unique, even if separated by just a few miles of ocean. The key ingredients to this distinction are the level of development and topography, with the latter having the greatest impact. Some older islands are sculpted with eroded emerald peaks while others are still “young” and dominated by massive shield volcanoes. Some islands have interstate highways and Wal Marts while others barely have 3G coverage. So, you get the point. 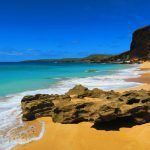 I highly recommend to check out this post which covers The Best Islands in Hawaii before reading on. Missing from these lists is Lanai, whose visitors often make the journey to specifically stay in its ultra luxury resort. 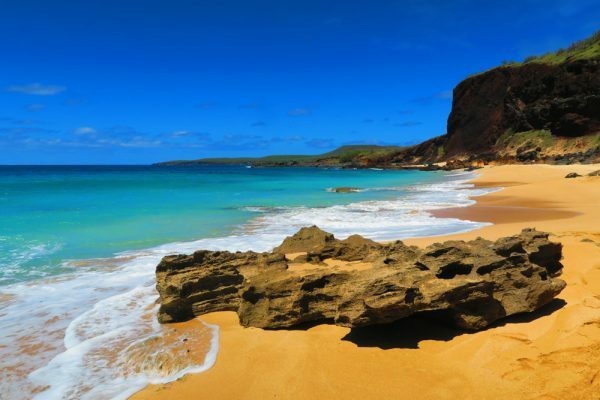 You can also visit Lanai on a day trip from Maui. In a nutshell, the best time to visit Hawaii is during the drier shoulder seasons of May-June and September-October. 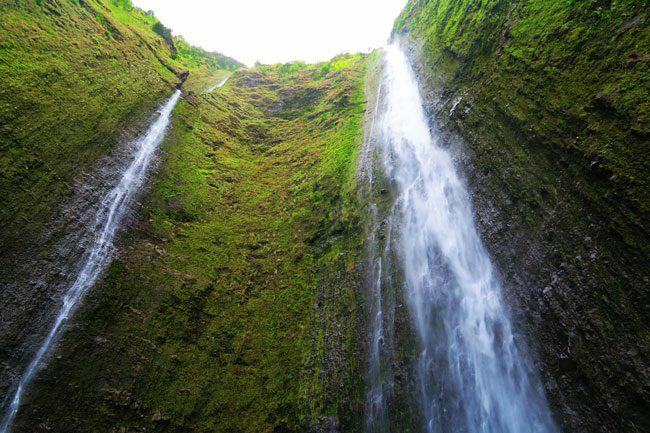 Though Hawaii is a year round travel destination that is always busy with tourists, two factors are key: the weather and the peak tourist seasons. Weather: not accounting for the myriad of microclimates that exist on every island, Hawaii has only two seasons: a wet season and a dry season. In general, the wetter months are from November-March (“winter”) and the drier months are from June-September (“summer”). 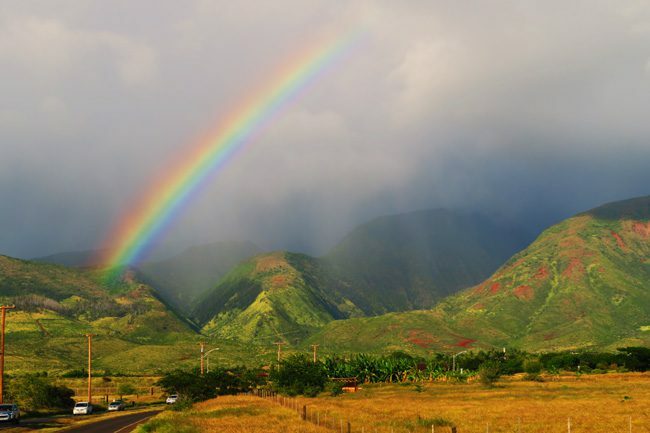 Since Hawaii is home to some of the wettest spots on the planet, it’s important to note that rain is to be expected even during the dry season, though some areas will be bone dry. In recent years, islands have experienced extensively long periods of rain during the wet season so if you’re traveling during this time, it’s best to plan your trip around the leeward side of the island which has a better chance of staying dry (see next section). Personally, I spent four months in Hawaii during the wet season and there were plenty of sunny days with only a small handful of island-wide storms. That said, swimming was often very rough, with frequent periods of “high surf advisories” and snorkeling was limited to sheltered bays. Though I haven’t thoroughly checked this, I am pretty sure that Kauai, (parts of) Maui, and Hilo (Big Island) are the rainiest areas in Hawaii. I recommend to always check the National Weather Service’s forecast, where you can drill down to your specific island and even to a particular region. However, unless forecasting a major storm affecting all the islands, take the weather forecast with a grain of salt. It can often be inaccurate, for better or for worse. Peak tourist seasons: just as important as the weather, Hawaii’s peak tourist seasons can make-or-break your vacation. In 2016, nearly 9 million tourists visited Hawaii with an average of 220,000 visitors in the state on any given day! Since most visitors come from the “mainland”, the “worst time” to visit Hawaii is during U.S. school holiday seasons, in particular, summer and Christmas breaks. During these peak periods, traffic can be particularly bad, accommodation prices ridiculously high, and beaches and hiking trails feeling overcrowded. If you must visit during this time, consider heading to Molokai or to the Big Island. The Hawaiian Islands are situated in the path of trade winds which blow from the northeast throughout the year (more so in the summer months). The part of the island which faces the trade wind is called “windward” and the opposite side is called “leeward”. Why is this important? The windward side of the island is not only where you’ll find the best surfing beaches, but it’s also the wetter side of the island. Here’s what basically happens. The wind blows warm moisture from the ocean towards the islands, which then gets “trapped” by the mountains off the coast. Since the warm air cannot “travel” inland, it rises and condenses to form rain which comes down on the windward side. This is the main reason why every island in Hawaii has a drier and a wetter side. And unless there’s a huge storm, chances are that even it’s pouring on the windward side of the island, it’s perfectly sunny on the leeward coast. 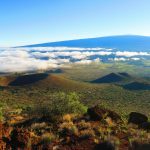 However, when the trade wind is not blowing, there’s a chance that southern Kona Winds will blow vog from the Big Island to the other islands, causing health issues for some. How Much Time to Spend in Hawaii? I personally spent four months in Hawaii, splitting my time doing volunteer work on the Big Island and hopping across the others. Being realistic, you’ll likely spend a lot less time than I did. So how long is the ideal vacation in Hawaii? This really depends on what the purpose of your vacation is. If it’s not your first time in Hawaii or you just want to relax and unwind at the beach, a week should be adequate. If it’s heavy sightseeing that you’re after, 10 days is the minimum I recommend. This is especially true if you’re coming from overseas, seeing how Hawaii is expensive to get to, not to mention far. 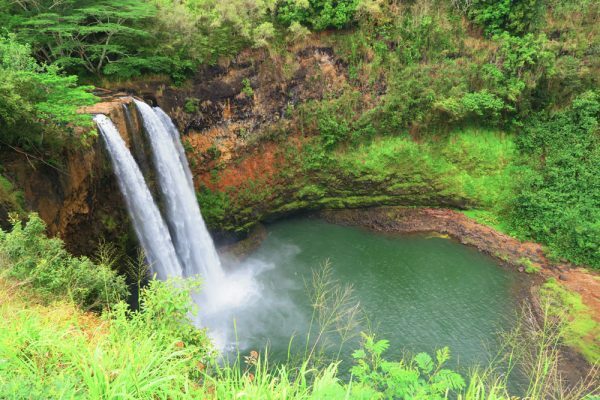 To really explore Hawaii, two weeks is an ideal timeframe. 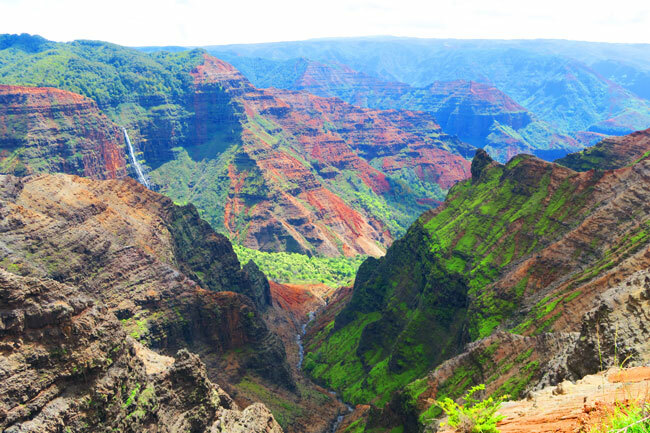 Pro tip: my rule of thumb – for every week in Hawaii, you can explore a maximum of two islands. What to Pack for a Trip to Hawaii? 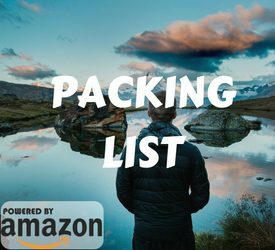 Aside from the usual holiday gear, here are a few items that are of particular use for a trip to Hawaii. Check out the X Days In Y Packing List for full descriptions and more ideas: snorkeling gear (fins will come in handy), reef shoes, car charger, light rain gear, sweat-repelling clothing, evening wear, beach sarong, sun protection, picnic gear, mosquito repellent, dry sacks and waterproof pouches (for hiking and boat tours), heavy winter gear (that’s right) if planning to visit Mauna Kea/Mauna Loa (Big Island) or Haleakala (Maui). 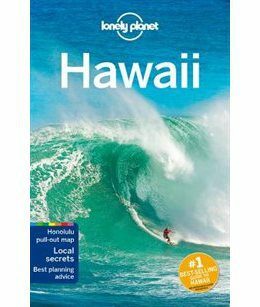 I also highly recommend grabbing a Lonely Planet guide to Hawaii to have useful information at your fingertips and to better understand Hawaii’s culture and interesting history. It always comes in handy both during the planning stages and during the trip. The short answer: hell ya! 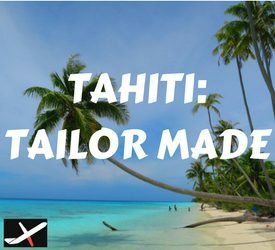 I found the “paradise premium” to be particularly high in Hawaii, even more so than in the authentic paradise of Tahiti … There are many reasons for Hawaii’s skyrocketing costs and not all of them relate to the fact that goods must be shipped here from the mainland. I would say the biggest reason is that tourists are simply willing to pay this premium and, since there aren’t a whole lot of employment options aside from tourism, locals squeeze the most out of this “weakness”. That said, some islands are more expensive than others and this is due to the size of the population. Of the islands I visited, Molokai was the most expensive and Oahu was the cheapest. Here’s what you can expect to pay, keeping in mind that things always change. Oh, and keep reading for tips on how to save on costs in Hawaii. Though things will certainly change from the time of writing these lines, I’m afraid there is no good news in this department. The only (reasonable) way of getting from one island to another in Hawaii is currently by plane. There was a ferry connecting Maui with Molokai and Lanai but it is no longer in operation. So you’ll need to book domestic inter-island flights to do your island hopping. At present time, there are three interisland airlines: Hawaiian Airlines, Island Air, and Mokulele Airlines. 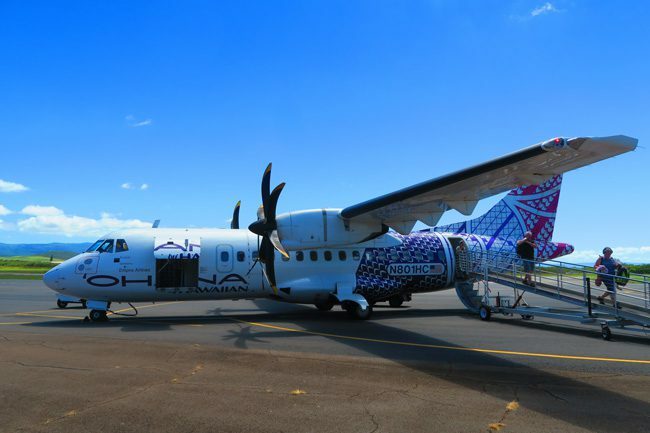 A fourth (sort of) airline – Makani Kai Air – connects Oahu with Molokai. And just in case you were wondering if you can purchase an “air pass” from one of these airlines, think again. You’ll need to purchase each individual leg separately (feel free to correct me in the comments should I be wrong). 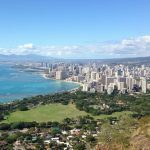 You don’t necessarily have to start your trip in Honolulu as you can directly fly to other islands from both the mainland and international destinations. When planning your route, check which islands are directly connected by flights to avoid a connection in Honolulu. 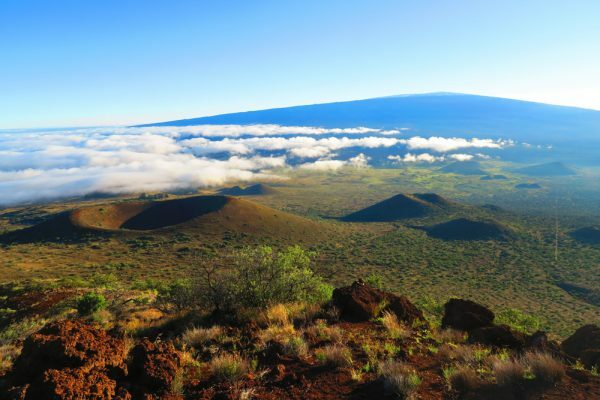 Currently, all islands aside from Lanai and Molokai are connected to each other by one or more domestic airlines. Some islands have more than one airport. Keep this in mind when booking your flight, hotel, and car hire. During peak tourist seasons and always before a departing international flight from Honolulu – leave plenty of time for car rental return and long queues at check-in/security. You can travel with any agricultural product between the islands but restrictions do apply on flights to the mainland. 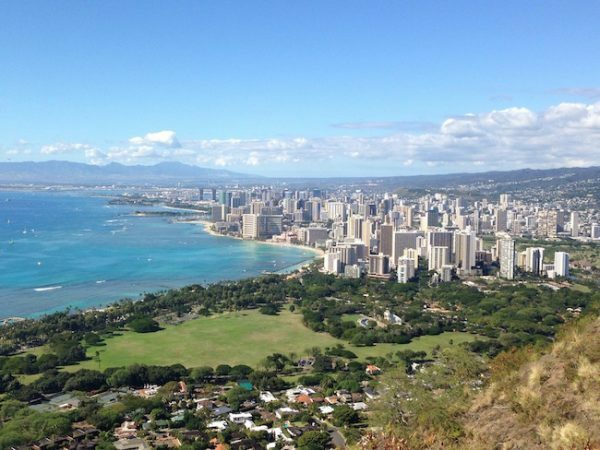 Review the “How to Save on Costs in Hawaii” section for flight-related tips. As you might expect from a top U.S. tourist destination, there are plenty of accommodation types in Hawaii. However, supply doesn’t always match the demand, particularly in the more budget categories. So, I do advise booking as far as possible in advance. 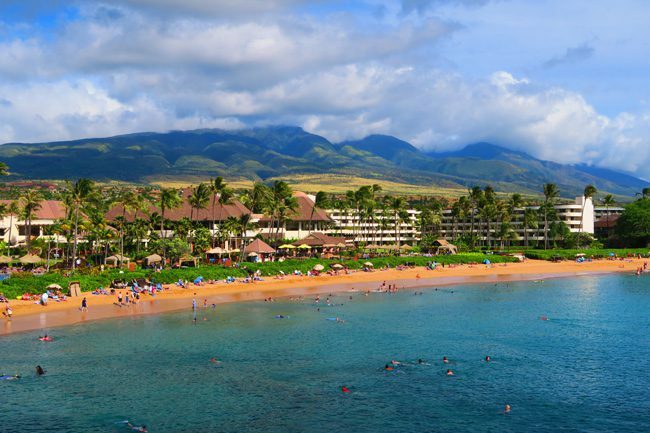 Resorts: these are mostly found in Maui, the Big Island, and Kauai. They’re big, by the beach, might have a golf course not too far away, and they cater to both couples and families with children. Look for a “resort fee” added to your bill. Condos: these are “vacation rentals”, fully-furnished homes or apartments rented by owners. Some units can be in desperate need of a renovation and lack WiFi, while others can be very luxurious. You’ll likely not see the owner (who likely lives out of state) but rather interact with a local who manages and cleans the units. Expect to pay a “cleaning fee” that can sometimes amount to $150 per stay! 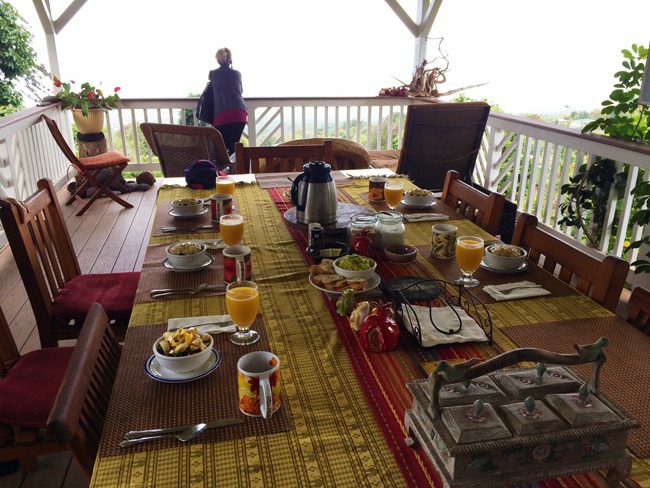 Bed & Breakfasts: my personal top choice, where bargains can be found and where you can really hit the jackpot and meet incredible locals. Look for the ones that have a common kitchen (so you can cook meals) and book in advance, because the good ones get snatched quickly. A cleaning fee may or may not be requested. Airbnb’s: no need to elaborate too much here. The only thing to double check is whether your accommodation is together with the owners or in a completely separate unit. 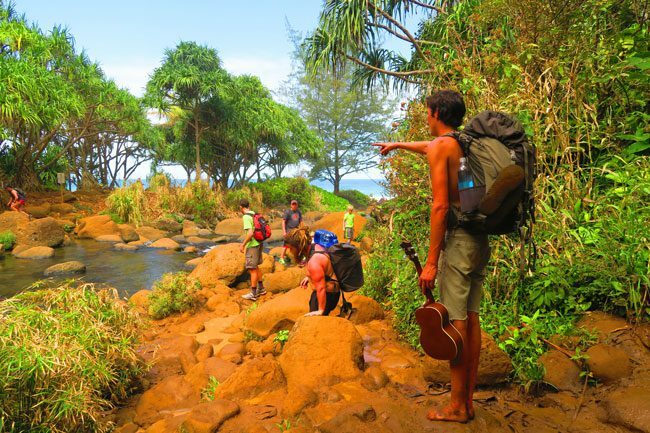 Backpacker hostels: unfortunately, there isn’t a large selection when it comes to this niche, even though Hawaii does get a lot of backpackers. Most islands will have one or two hostels while others may not have any. The exception to this is Oahu, where there are a bunch of hostels in Waikiki Beach. I highly recommend reading online reviews and seeing traveler photos of the place before booking because some can be in really bad shape and some can be complete “party hostels” that may even oversell their beds, leaving you to find a spot for the night “somewhere” in the hostel. Expect to pay $40-50 per night for a bed in a dorm room, which may include access to free trips around the island. Couchsurfing: there are quite a few hosts on every island but securing a spot can be hard. If you’re a solo female traveler, I recommend refraining from using this service (unless it’s a really trusted host). I have heard a few bad stories of male hosts trying to “get more” from their guests. 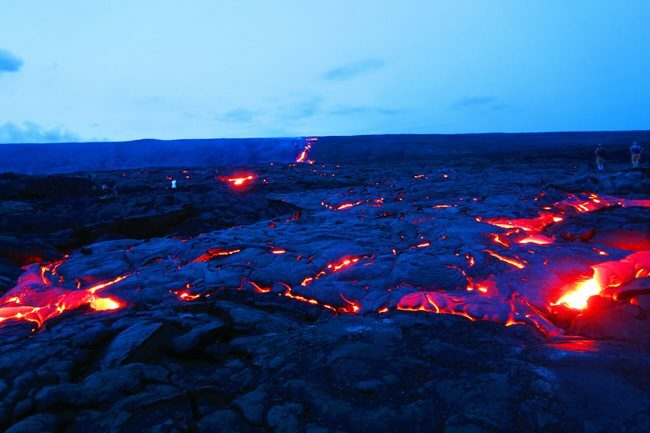 Camping: every island in Hawaii has organized camping sites. However, all require the advanced purchase of a camping permit and none allow you to use your car as a tent. So proper camping equipment is needed. Volunteering: if you’re looking to spend an extended period of time in Hawaii, look for volunteer opportunities on practically every island. Websites such as Workaway and WOOF have a list of hosts which you can reach out to. 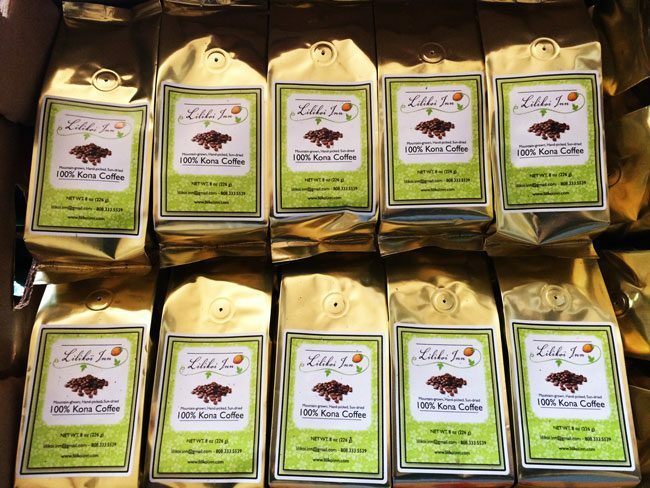 I personally spent three months volunteering for 5 hours per day (weekends off) at the Lilikoi Inn on the Big Island, where I helped my hosts with their coffee business and bed & breakfast. With Oahu being the exception in particular scenarios, I highly recommend renting a car from the moment you land on an island until the moment you leave. This is the best way to explore every island and in some cases, the only practical way. Distances are often greater than you think and having a car really makes the difference. Expect to pay between $35-70/day for a 2WD rental, with discounts applied to weekly rentals. Apart from very particular spots in Molokai and the Big Island, there is really no need to rent a 4WD. Public Transportation: there is a technically a bus “system” on every island, but it is always geared for locals and not for tourists. However, if simply needing to get from point A to B, taking the bus could be an inexpensive option. Ohau is really the only exception, with a comprehensive bus network that even tourists can use for exploring parts of the island. Look at the individual island guides for specific information about each island and download apps such as Moovit which can optimize your route. Hitchhiking: this is very common and acceptable on all islands apart from Oahu. The only thing to keep in mind, besides using your good judgment, is to time your return so that you do not have to try and hitch a ride in the dark. Cycling: very popular on some islands but limit this to within the towns as to avoid cycling on main roads. If you’re cycling as a sport, take extra caution on country roads which are prone to blind spots and careless drivers. The cheapest rates are found in Oahu and Maui while the most expensive island for renting a car is Molokai. 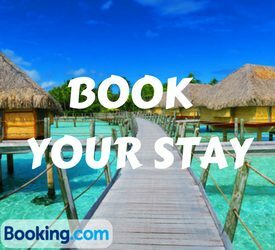 Book well ahead of time to increase your chances of getting a good rate. In peak tourist seasons, some islands might literally run out of cars! 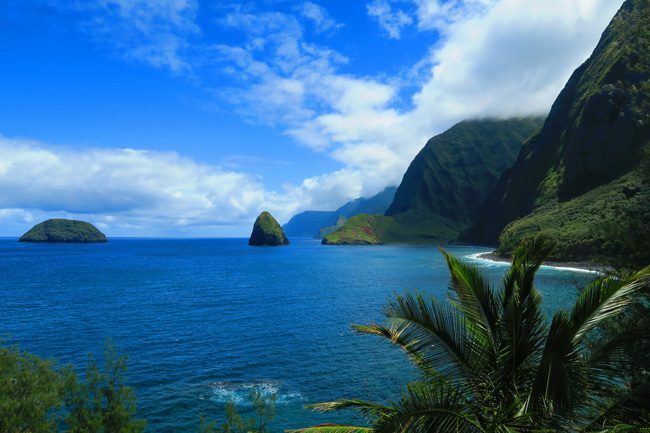 Hawaii is a “no fault” state when it comes to car insurance. This means that every party must fix their own car, regardless of who is at fault. When renting a vehicle, car hire companies will stress this fact and either scare you to death or force you to purchase an insurance package. If you’re an American car owner, check if your insurance policy covers rental cars. If you’re an international visitor, either insist on declining the extra insurance, purchase one (or all) extra insurance plans, or check if your travel insurance covers car rentals overseas. You’ll find the usual well-known car hire companies on most islands, but there are also local alternatives. If going that route, check where their location is, pick up/ drop off conditions and hours, insurance policy, and online feedback. Car break ins are unfortunately common in Hawaii, particularly in Oahu and Maui. DO NOT leave anything valuable or visible in your car or in the trunk. To be on the safe side, leave the doors unlocked and even roll down one of the front windows. Avoid parking your car in isolated areas and look for broken glass on the ground – a sure sign of recent “activity”. This advice also holds for guided tours as those vehicles are especially targeted by thieves. If traveling to remote sections of an island, be sure to fill up your gas tank as there may not be any gas stations when you need them. 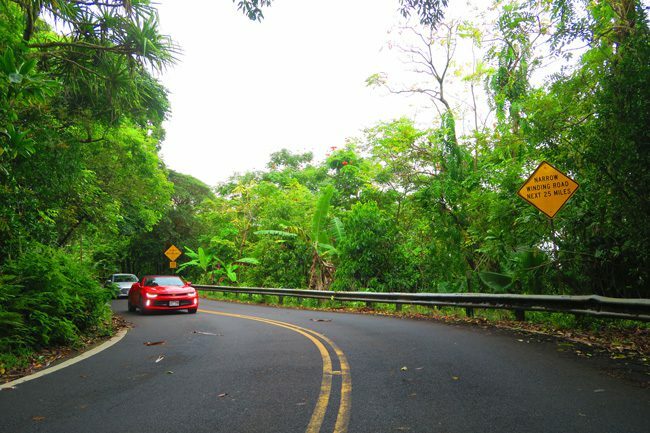 Hawaii’s scenic roads and even just ordinary one-lane highways can pose many dangers. Adhere to signs warning of blind spots, keep a safe distance, yield to oncoming traffic in one-lane sections, respect the speed limit (especially on winding roads), and keep overtaking to a minimum. Driving at night, in foggy conditions or heavy rain? Take extra caution and be sure to stay alert. Long drives in unlit sections of country roads can be very tiring! Remember to shift your car into low gear if driving down from high elevation areas, for example, if coming down from Mauna Kea or Saddle Road (Big Island), Waimea Canyon (Kauai), and Haleakala (Maui). Some roads are listed as 4WD-only by local authorities and some are voluntarily added to that list by car rental companies. Inquire at the time of rental and don’t be a “smartass”. Use navigation apps such as Google Maps and Waze to optimize your journey. Download an offline Google Map of the islands you’re visiting in case of no connectivity. Every island in Hawaii is different both in terms of the vibe and the scenery. In case you’re wondering, here’s my list of Top 10 Things To Do In Hawaii. If you want to drill down to the specifics, here’s what each island has to offer. Do a bit of homework and compare similar offers. What is the price difference? What is different about the itinerary? What is the company’s reputation? How many people will be with me on the tour? Look for coupons in tourist maps and brochures to save some money. Double check if prices are particularly low for a certain departure time as these time slots can sometimes correspond to hours of the day prone to poor weather. If renting equipment to go off on your own, get someone’s phone number in case of equipment malfunction. Don’t try and squeeze in too many. 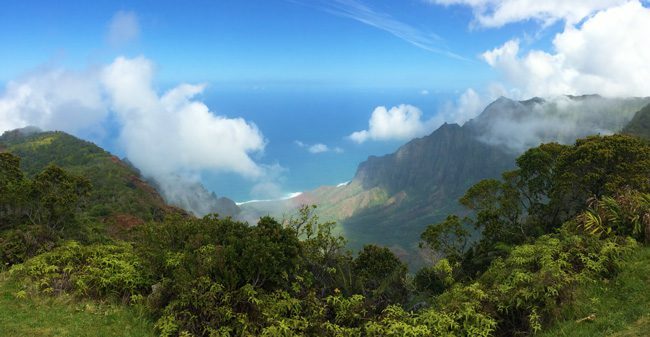 Hawaii’s nature on its own is enough to fill up your itinerary. Ask yourself: can I do this on my own? How bad is this for the environment (ex: helicopter rides)? Baggage fees: when I island hopped in Hawaii, by joining Hawaiian Airlines’ frequent flyer program, I knocked $10 off my checked luggage on every domestic flight. When adding this up across multiple flights and passengers, this saving can add up. Food & groceries: avoid “heavy shopping” in farmers markets as they are usually quite expensive. Large supermarket chains (Foodland, Safeway) have excellent ready-to-eat food sections. Join their club and save on every purchase (for example, Foodland has the Maikai program which anyone can join). 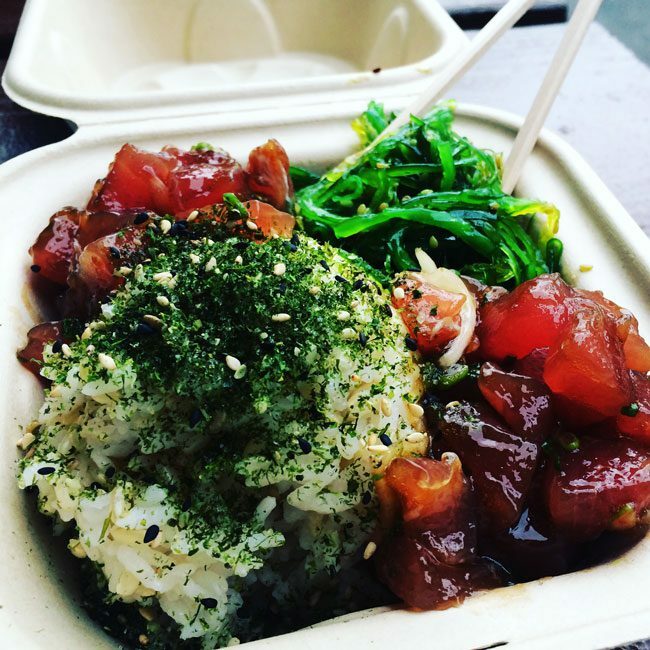 Poke bowls: by far my favorite meal in Hawaii. Surprisingly, the best tasting and best value poke bowls are found at Foodland supermarkets! Choose from a huge selection of fresh poke and make it a bowl by adding rice and a side salad. You’ll pay under $10, compared to $12-20 in restaurants. Car rental: book in advance and inquire with local family-owned companies. Accommodations: book well in advance and always read the fine print regarding possible cleaning and resort fees! Tours: compare prices, avoid altogether, and look for coupons in brochures and tourist maps. 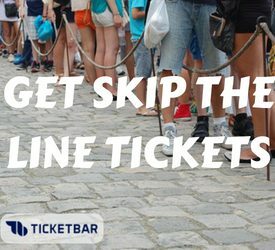 Luau shows: ask a few locals where the best luau show is, check if you can skip the dinner portion and just buy a ticket to the show. Souvenirs: if you’re looking for “tacky” souvenirs, visit the likes of Wal Mart which tend to have the exact same merchandise as souvenir shops for slightly less. What to Buy in Hawaii? 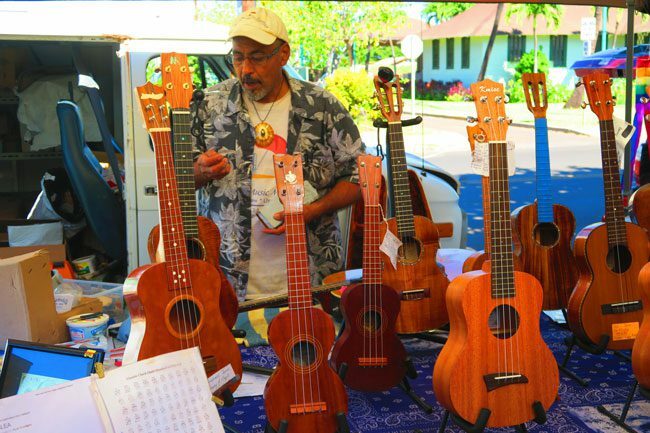 To be fairly honest, Hawaii is pretty weak when it comes to authentic souvenirs and, like everything else in the State – they’re very expensive. The only recommendations I can make are: macadamia nuts, Kona coffee, ukuleles, and wood carvings (but only if they’re actually made in Hawaii). When it comes to anything “artsy”, consider if it was made by an actual Hawaiian. I don’t mean to sound racist or anything, but what’s the point of buying a sculpture (or whatever) from someone who came to Hawaii a few years ago from the mainland? When it comes to food, keep in mind that restrictions do apply when flying back to the mainland, and you will have to go through an agricultural inspection. Be sure to make it back in one piece with these Hawaii-specific safety tips. As always, don’t forget to purchase travel insurance. Honolulu: really the only urban area to be careful in, especially at night but even during the day in some sections. Ask your hosts where the “no go” zones are, keep your valuables safe, and don’t leave anything unguarded at Waikiki Beach. Driving: see “Hawaii Driving Tips” section for life-saving advice. 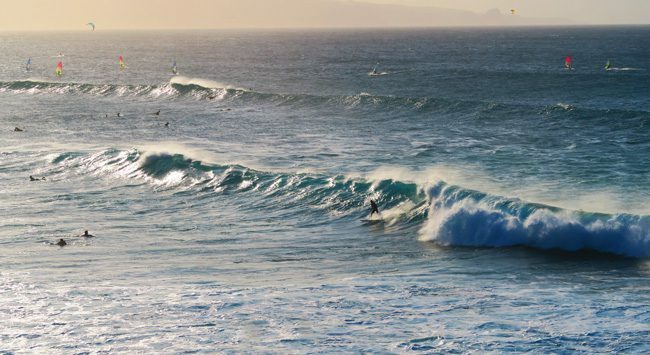 High surf: more so on windward coasts and especially during the winter months, Hawaii’s beaches are prone to high surf. This means very high waves and deadly swimming conditions. It so dangerous sometimes that radio stations must air advisories on a daily basis to notify the public. Exercise caution, use your judgment and avoid swimming where there’s no lifeguard. Shark attacks: rare but do happen almost every year in very particular stretches of coastline. It’s always best to swim where there’s a lifeguard and to ask around. Contaminated water: tap water is safe to drink but always double check with your hosts in “rural areas” if their water is supplied by the county (OK to drink) or not (questionable). Never drink water from streams without first purifying and avoid swimming in enclosed natural pools as those are often contaminated by bacteria (seriously). Extreme weather: take the usual precautions when exposed to sunlight but be aware that high elevation areas in Hawaii see extremely cold conditions, even snow. If visiting Mauna Kea/Mauna Loa (Big Island) or Haleakala (Maui), bring with you full winter battle gear (long pants/sleeves, extra layers, heavy jacket, hat, gloves, scarf…). Vog: the volcanic smog caused by the Kilauea Volcano can cause respiratory problems for some and may get carried by “Kona Winds” to neighboring islands. If you are susceptible to such conditions, check the air quality report on a daily basis. Opening hours: to avoid getting stuck with your car in the parking lot, take note of opening hours in official beach parks as gates are often closed a short time after sunset. Tsunamis: these are very (very) rare so don’t stress out. You might see evacuation signs and hear the testing of emergency sirens. I appreciate your sharing. I am so sure that your shared information would be useful for all visitors which who have a plan to go there in coming up days. I have been there couple of the times in my whole life to enjoy my holidays and always spent lovely time there. I am sure that hiking is a must there, since there is so much beauty to see. 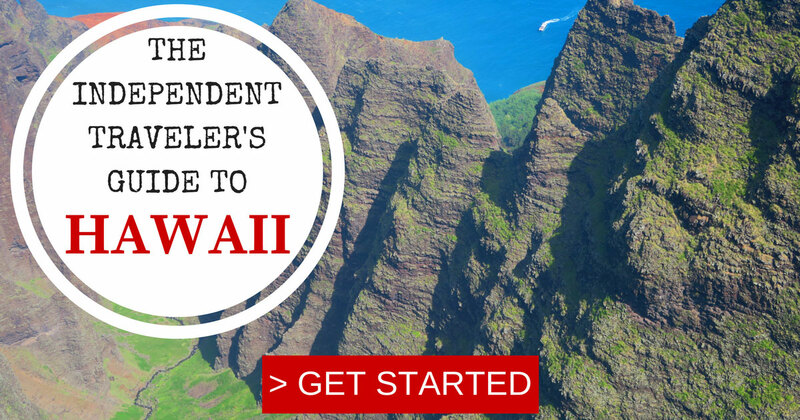 Such a complete guide to traveling in Hawaii! Great read. Now I’m craving Poke! 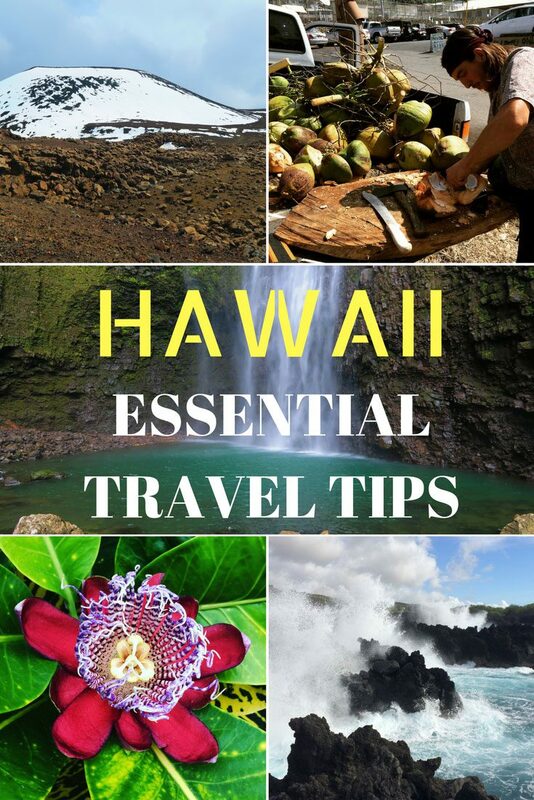 Thanks for providing complete travel guide ti Hawaii. Your tips are really helpful.